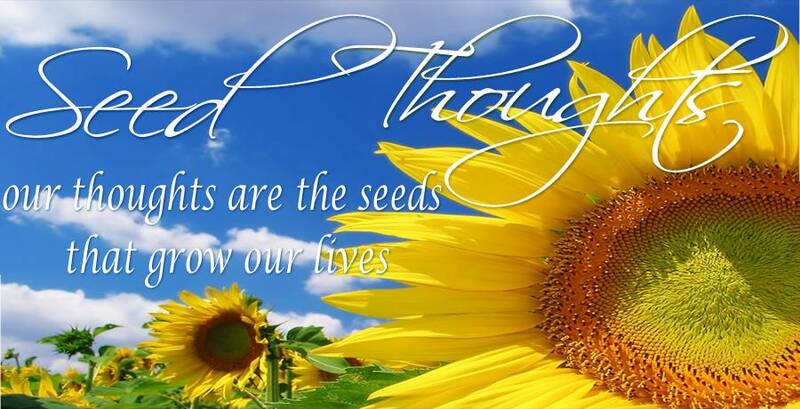 Sunday Seed Thoughts: What Drives You? Is it a problem? Pressure? Or an urgent deadline? There are so many things in life that drive who we are, what we do and how we act or react. Some people are driven by guilt. They live in regret of a mistake ridden past. Others are driven by anger. Their resentment and bitterness colors everything they do. We may be driven by fear. Fear of failure. Fear of the unknown. Fear of change. Materialism drives many people. They focus on the physical, and emphasize outward appearances. And the need for approval is the driving forces in some lives. Too often we worry about what others think. These forces may drive us spiritually, as well. They can even drive entire churches. In the wrong direction. God’s purpose is spiritual. It is centered in Christ. It is focused on the eternal. It emphasizes the inner man instead of outward trappings. People and churches who are driven by God’s purpose have no time for the trite and the trivial There is a great work to do. God’s purpose beckons. It must drive our lives, if we are to be God’’s people.